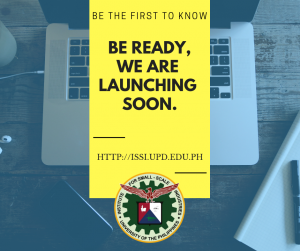 Now on its second year, the University of the Philippines Institute for Small-Scale Industries (UP ISSI) partnered with the Bulacan State University (BulSU) for the internship program of their Library and Information Science (LIS) students. From 19 February to 28 March 2019, the students underwent the Library Internship Program which aims to provide students with exposure to all facets of LIS work through immersion in actual libraries and information centers in both private and private sectors. Realizing this, the UP ISSI through its Library prepared immersive learning opportunities for its Library Interns to ensure that they could demonstrate the expected learning outcomes required to pass the Library Internship Program. These opportunities included activities which required them to apply the acquired knowledge in the classroom to actual work environment such as indexing and abstracting, writing annotated bibliographies and preserving records having historical value through digitization; scholarly research activities such as submission of articles; and co-curricular activities such as participation to UP ISSI activities and library learning tours. With the library tour, coupled with their immersion at the UP ISSI Library, the Library Interns learned not just the basic knowledge on the actual library operation but more importantly, the outcomes of the library services and programs in students’ academic life. Evidently, the positive academic performance, culture of reading and research, and proficiency on information literacy among students are some of the demonstrable evidences to prove that truly the UP Diliman Libraries, in general, are performing their indispensable role as contributor to students’ lifelong learning. The views expressed herein or in any article in the UP ISSI website are those of the authors and do not necessarily reflect the policies or opinions of UP ISSI nor the views of the University of the Philippines. Visitors and users of the UP ISSI website are advised that information contained within the website is assumed to be accurate. However, errors can occur even with computer-generated information. UP ISSI makes no representation regarding the completeness, accuracy, or timeliness of such information and data, or that such information and data will be error-free. Visitors are encouraged to review the official version of all documents on which they plan to rely on. We are moving back to our original home.